If you know anything about rapper Lil B, then you know not to mess with him if you are a professional basketball player. Fans of the rapper will remember that he put a curse on Oklahoma City Thunder star Kevin Durant back in 2011. Durant said on Twitter that Lil B is a terrible rapper, which is what invoked his wrath. Lil B said that Durant would never win an NBA championship because of this. And so far, he hasn’t. Durant even got hurt this year and missed most of the season. 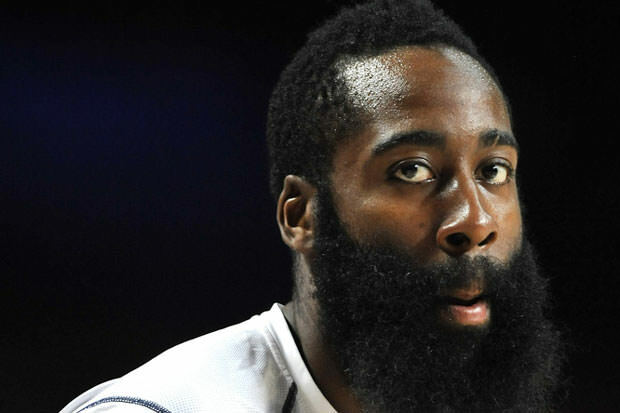 And now Lil B has cursed Houston Rockets star James Harden. According to the rapper, Harden stole one of his dances, the famous cooking dance. Lil B said that the curse is on, and it won’t be lifted until Harden apologizes. And in case you haven’t noticed, the Rockets are one game away from being swept by the Cleveland Cavaliers. Coincidence or curse?